The great claim was that Marxism, as put forth in the Communist Manifesto, was scientific. 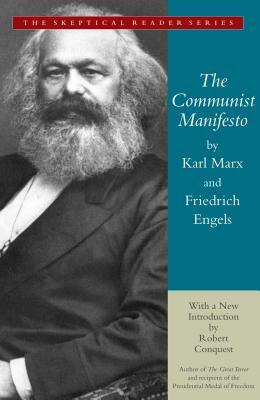 Marx and Marxists spoke much of the "false consciousness" of people whose arguments are only superficially intellectual, being (though they themselves are unaware of it) mere projections of class prejudice, and who thus believe themselves to be acting from religious or other motives while really driven by economic interests. Since Marxists took their theory to be the science of society, including history, sociology, and economics, when this became the official view of the state it implied, and in fact resulted in, the substitution of Marxism for the supposed pre-scientific gropings that had hitherto prevailed. In all the Marxist states, alternative views were suppressed, in academe as well as in society as a whole. And this led, as we saw, to a mental enslavement and degeneration of thought. Robert Conquest brings his vast expertise on Karl Marx to offer a compelling criticism of the Communist Manifesto. Conquest is an award-winning, Oxford-educated professor and author of twenty-one books on Soviet history. He is currently a research fellow at the Hoover Institution.